In this episode, Heather speaks with Jill Katz, Chief Change Officer of Assemble HR Consulting about her view of leadership, a time when she was not the best leader she could be and some pearls of wisdom that she offers to all leaders. Jill discloses the 3 C’s that she shares through the work that she does. Exercise candor, courage and care. Feedback is a gift. So, take it as such. We are leaders in family, in the community and at work. We must relate to our employees in different ways depending upon how long we have led them and how long we have been a leader. We grow constantly, and hopefully, so does our team. Jill does not disappoint in this episode. Listen and learn! Jill Katz is an Influencer, Speaker and Coach that is passionate about shifting the workplace to be more #PeopleFocused. She is the Founder and Chief Change Officer of Assemble HR Consulting, a boutique Human Resources firm that focuses on Organizational Transformation and Employee Experience. She is a seasoned executive coach, facilitator, and human capital expert with more than 20 years of success in the fashion, retail, digital technology, media, and banking industries. 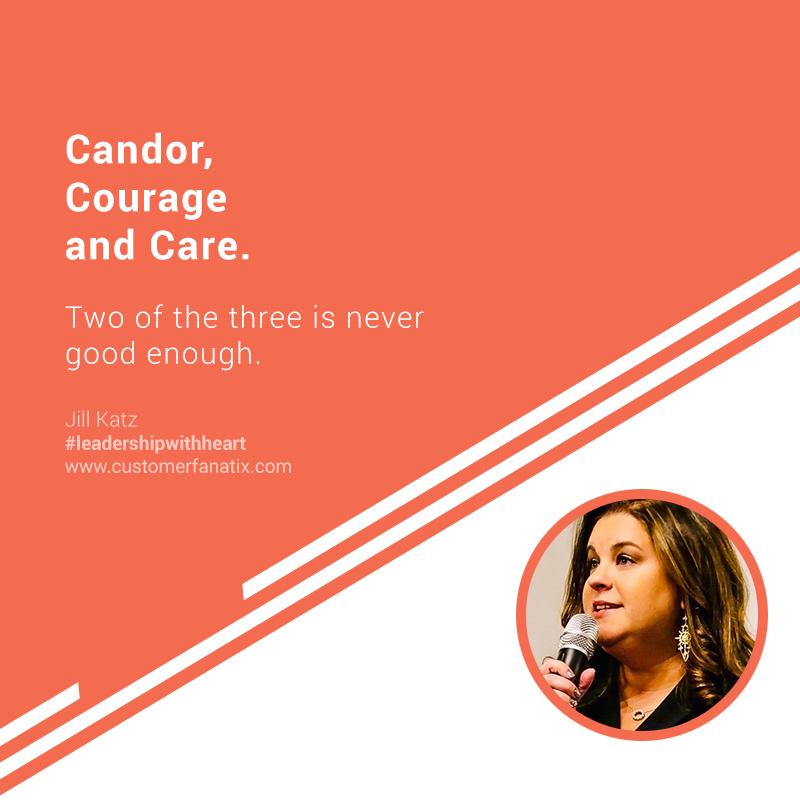 Jill is best known for her “3C’s Approach”: candor, courage, and care. Jill has held senior HR leadership roles and has extensive experience in large-scale organizational design projects. Most important of all, she is a very proud Mom, a devoted wife, a Broadway fanatic, and a dog lover. Every day I wake up, I am finished with the journey I took the day before and I get to start the next day’s journey. I think leadership is something that we are all honing, developing and discovering on a daily, monthly, and yearly basis. I am in a really awesome time because I am leading in so many ways. I am a mom and for me, that is the most important leadership journey I’m in. There’s a lot of learning for me there. I used to lead an organization of 6000 employees and a really large Human Resources team. Now, I’m leading my own company and that’s a different leadership journey as well. I’ve also been really public with my own health journey. I’m really proud to share that in the past eight months, I’ve lost 55 lbs and I am really leading myself through that. As I get older, I find that the word ‘leadership’ is closer and closer to the word ‘relationship.’ The further and longer the relationship is, whether it’s with your children as a mother, or with your body as you are on a health journey, or with the team that you’re managing as long as you’ve been managing them, or with the product that you’re developing or any of it, as the relationship grows, your leadership also changes and develops. I believe in building very, very strong and close relationships with the people on my team. For those who are interested in a mutual relationship, that is about me knowing all of the things that motivate members of my team and them knowing the same about me. You would hear about my communication style and feedback. You’d hear about my passion and my personal investment. 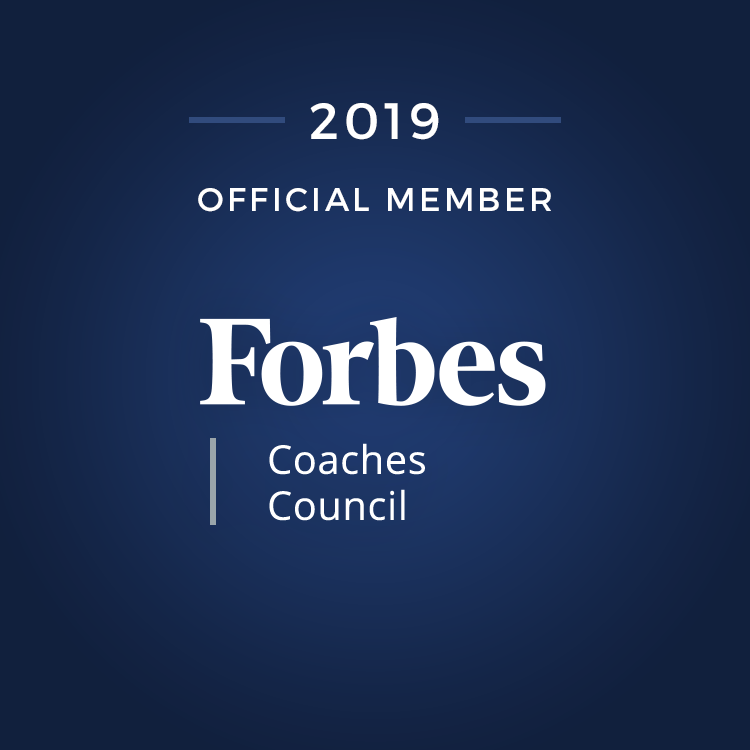 I’m having mutual coaching relationships and my team members are helping me to be a better executive. They are sharing back with me, hopefully, as much and in the same ways. I get so much joy out of watching my team members excel. One of the best compliments a leader can get is when someone wants to work for them again. If someone doesn’t want to work with you the second time, there’s a message there. I have always tried empathically to ensure that my team members, my colleagues and even my bosses see as much of my humanity as possible. That’s because I want them to show me an equal amount of their humanity. I think it so 80’s for us to go into a work environment and suddenly pretend that all of what’s happening outside in our lives that which is so much more exciting and that bringing us down or holding us back isn’t happening—it’s just so false. It doesn’t do anything productive for anyone involved, for us to be keeping parts of who we are outside of our job, so I have really been empathic about being authentic. There are questions that we need to ask those team members because those are real things that are happening and we cannot look away from them. Feedback is something that I talk a lot about and feel passionately about. I am not someone who doesn’t practice what I preach. But it’s not for everybody. I’ve also learned that people who want to develop and develop quickly do gain a lot of traction there.